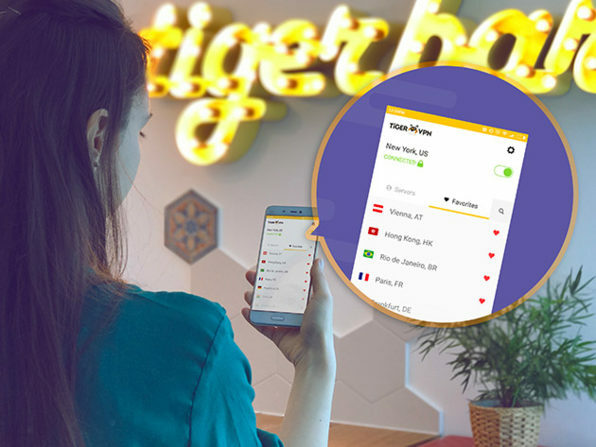 TigerVPN provides you amazing security and ensures your privacy with the help of its military grade encryption software for Windows, Mac, Android, and iOS. Your entire communication is encrypted end to end and you won’t have anything to fear. Don’t risk your security and privacy and get TigerVPN now. You not only are able to ensure privacy but you can also get benefits like unlocking geo-restrictions from content providers like Netflix and Youtube. You can enjoy unlimited access to 15 VPN nodes spread across the world. Updates will be included so need to worry about the VPN becoming ancient. The 15 nodes that you can connect to are : NL – Amsterdam US – Denver, Los Angeles, Miami, New York RO – Bucharest NO- Oslo DE – Frankfurt UK – London ES – Madrid CA – Montreal, Toronto AT – Vienna CH – Zurich FR- Paris. Use of torrents in also permitted with the VPN. It is compatible with iPhone 4s or later, iPad 2 or later, iOS 9 or later, Android 5.0 or later, Mac OS X 10.10 or later and Microsoft Windows 7 or later. It is, however, not compatible with Windows phones. It is also compatible with PPTP, L2TP and OpenVPN protocols. The product may not be suitable in countries where the government applies technology filters to block VPN protocols like China and UAE. Users should have an internet or mobile data plan that allows then VPN usage. License can be redeemed with 30 days of purchase and the license grants lifetime access to 15 locations. The VPN can be used only on maximum two devices. So what are you waiting for? Just visit the site and stay secure.